When we first decided to make travel a career we had now idea how to be a travel blogger. We didn’t have the slightest clue how people made money on the Internet. All we knew was that we had a dream to become full time adventurers and to get paid to travel. At that time, we had already spent most of our winters traveling the world for extended amounts of time. Friends and family were already asking for advice and information about the destinations we'd been to, so a natural progression was to start sharing that information online. We knew in our hearts that one day we wanted to be a voice in travel, we just didn't know how to turn that dream into a sustainable business. 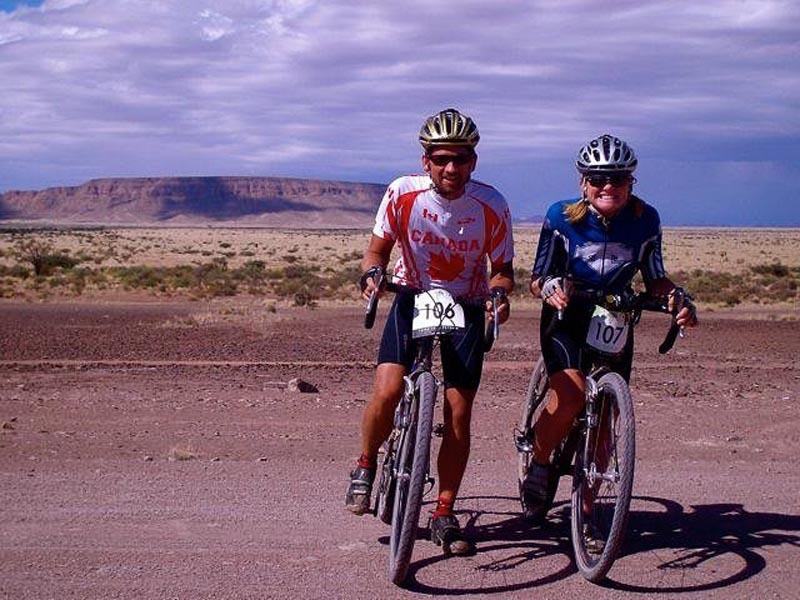 In 2007 we signed up for the 2008 Tour d'Afrique; the world's longest cycling race from Cairo to Cape Town. We started ThePlanetD so that the organizers could link to our race profile, and to keep followers of that race up to date on our progress through the continent. After returning from Africa, we went back to our jobs in the film business and worked for a year to save money and to make plans. During that year we focused on raising our profile. Every spare moment we had, we sat at our computers talking with fellow travel bloggers, commenting on other people's blogs, interacting with others on twitter, and writing stories from our travels. One year later we were back on the road with a dream and a plan. By the time we booked a flight to India 12 months later, we had made a small name for ourselves in the travel community. We put away some cash to sustain us on the road for several months and we even sold our first ad on ThePlanetD before leaving. We were feeling confident. As we travelled through India, Nepal and Sri Lanka our readership grew, but we didn’t know what steps to take next. The problem was we were running out of money to sustain our travels, and we were still struggling with how to turn our travel blog in to a business. I remember sitting at a cheap guesthouse in Hikkaduwa, Sri Lanka having a bit of a breakdown. We only had about 2 months left in our travel budget before we’d have to start dipping in to our savings. A few days later, we sold an ad. A company had offered to buy four sponsored links in existing posts for an entire year. They weren’t paying much, it was something like $40 a month, but multiply that by 4 at 12 months, and we suddenly had nearly $2000. This was enough to help us achieve our dream to climbing to Everest Base Camp while giving us another month of travel. We were feeling good. At that time, the bickering was starting in the travel community. People were arguing with each other and looking down on those who sold text links. People were outraged with anyone that sold an ad and accusing them of “selling out.” In their eyes, blogs were supposed to be sacred places where nobody was allowed to make money. We didn’t pay attention to the politics. All we knew was that we were running out of money, we wanted to be able to keep on traveling, and we didn't want to have to go back to our jobs in the film business yet again. We already left once to travel and then had to return to work for a year. It would break us emotionally if we had to go back again and start all over. So, we made some money with our blog and were able to continue our travels the only way we knew how…To sell ad space. We knew this wasn’t a sustainable way of making money. A couple hundred bucks a month in advertising wasn't the way we wanted to build our business. So when the TBEX travel blogging conference in New York in 2010, we made a point of going to learn how to make money with our travel blog. Well the session was a bust. Either the people on the panel weren’t making any money yet, or they weren’t sharing how they were doing it. We went away dejected and upset with the whole situation. We vowed to share information if we were to ever speak at a TBEX or other travel blogging conferences one day. We realized that we were going to have to figure things out for ourselves. 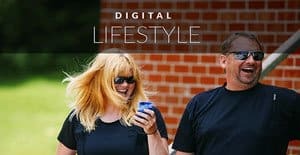 We had a film and entertainment background, and had always seen movie stars and athletes act as spokespeople, so we decided to focus on becoming celebrity travel bloggers. It was always our plan to raise our brand enough so that companies would take notice and hire us as travel experts. We had visions of being just like Ian Wright: A travel personality from Lonely Planet travel show. (a program we used to watch religiously – later known as Pilot Guides). At the time, he was advertising Canon Cameras and writing columns for magazines. We wanted that. But we didn’t want to have to put all our time and energy in to pitching stories and being rejected. We'd had enough rejection in our lives. So we decided to focus on writing great content for our own website to raise our profile enough that people would approach us. 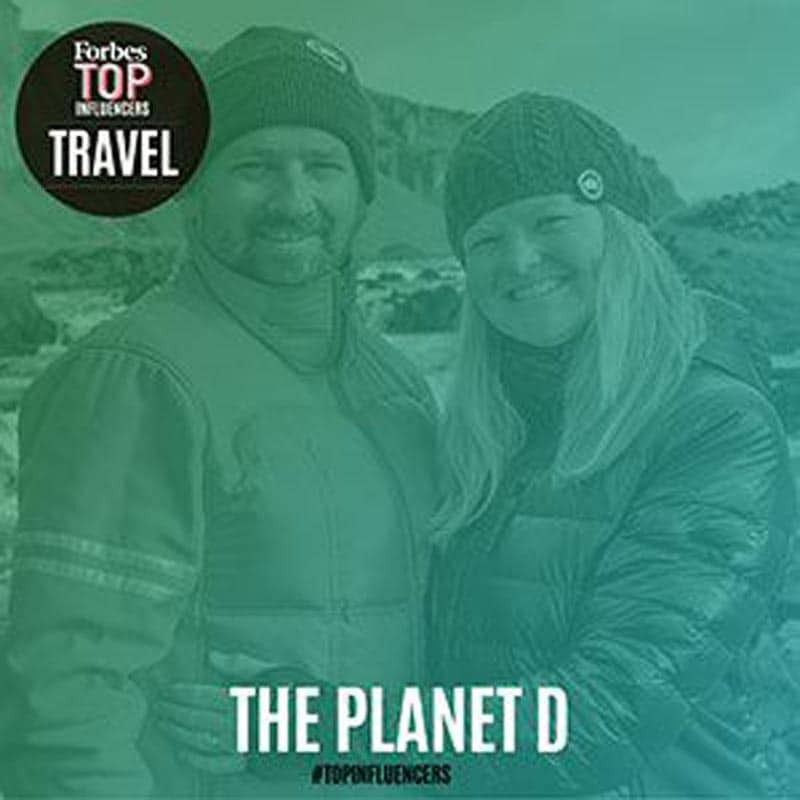 We focused on marketing the personality behind The Planet D. We wanted our readers to not only connect with our tips and advice, but to connect with our personalities and life story. We found that people were very interested in our story and wanted to hear more. Our business has grown more than we could ever imagine. 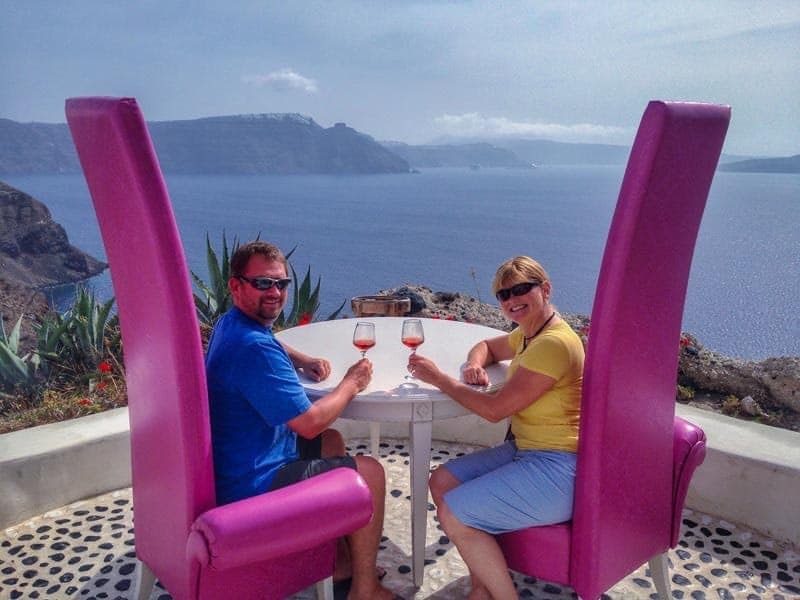 By thinking outside the box, we eventually figured out how to make money with our travel blog. Once we stopped concentrating on how to make money, and instead focused on building our brand through storytelling, the opportunities started coming in. What they didn't explain was the reason you needed to write great content. Everyone always focuses on how to make money, but you need to focus on creating content that is of value to your readers before you even begin to think of monetizing. If you don't have a loyal and engaged readership you aren't going to have a brand that anyone is going to want to work with. For us, our readers come first. As our readership grew, people started to take notice. More people started to share our content and a snowball effect happened. People began to know us. When people start to know about you, brands and companies will know about you too. By creating great content and building your audience, you will eventually have opportunities come to you. Doors will open and people will be wanting to work with you. Our first real contract came with American Express Canada. They approached us to work with them on a year-long contract basis to test drive their American Express Gold Rewards Card. 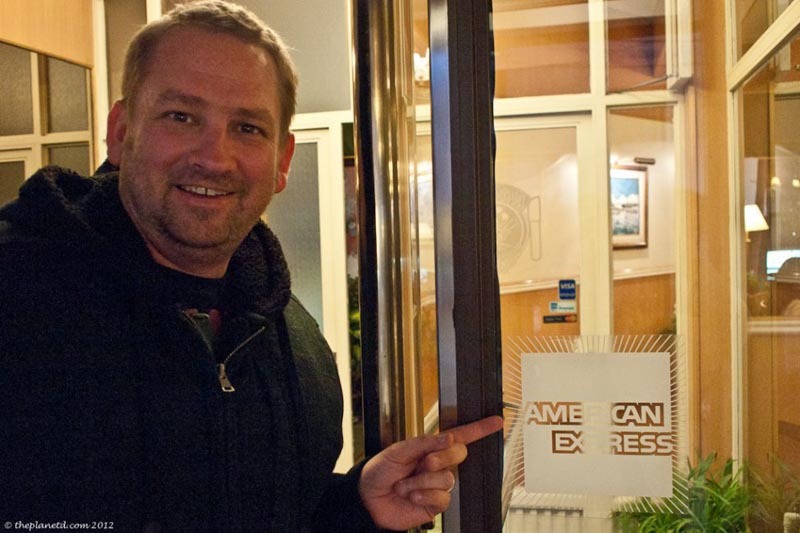 We worked with them for five years and even became American Express Brand Ambassadors. 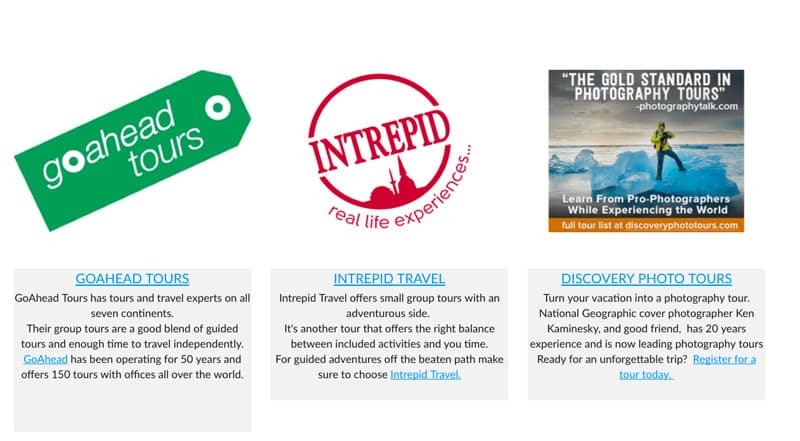 Our next Partnership came with Intrepid Travel. We knew the folks at Intrepid Toronto really well, and just loved Katy and Katie in the office. We pitched them an idea to be their “Global Bloggers” and for the next year we experienced their tours and shared our experience with our readers. We had been working with them in a non-monetary capacity for a year earlier, so the partnership made sense when it was time to take it to the next level. Unfortunately we didn’t have a plan for a second year and the partnership dissolved, but we still have an amazing relationship with Intrepid and who knows, maybe another opportunity will come up in the future. Once we had a couple of Ambassadorships under our belt, things really started to roll. Expedia.com was where we started to understand our value. They invited us to their head office to discuss working with bloggers. Dave and I seized the moment after that first meeting and sent them a pitch for the following year. They liked the idea, and for the next 12 months we went around the world as their adventure travel experts. Readers enjoyed it and it helped humanize the Expedia brand by putting a face to their company. 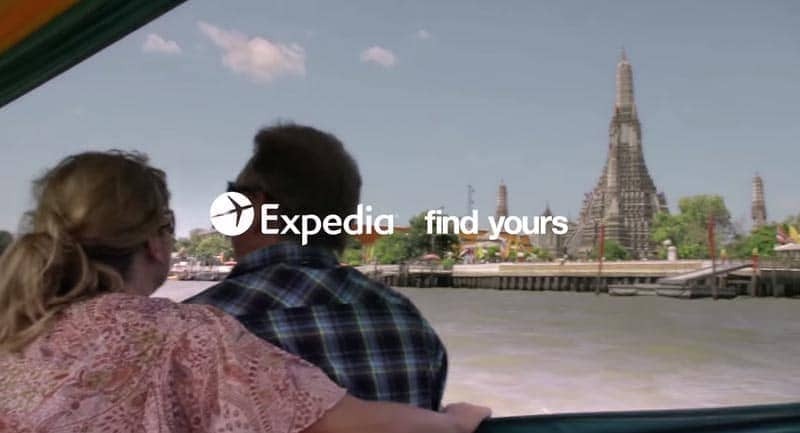 Unlike Intrepid Travel, there was a plan for year two and that relationship evolved into us to being a part of their Expedia Viewfinders Program. 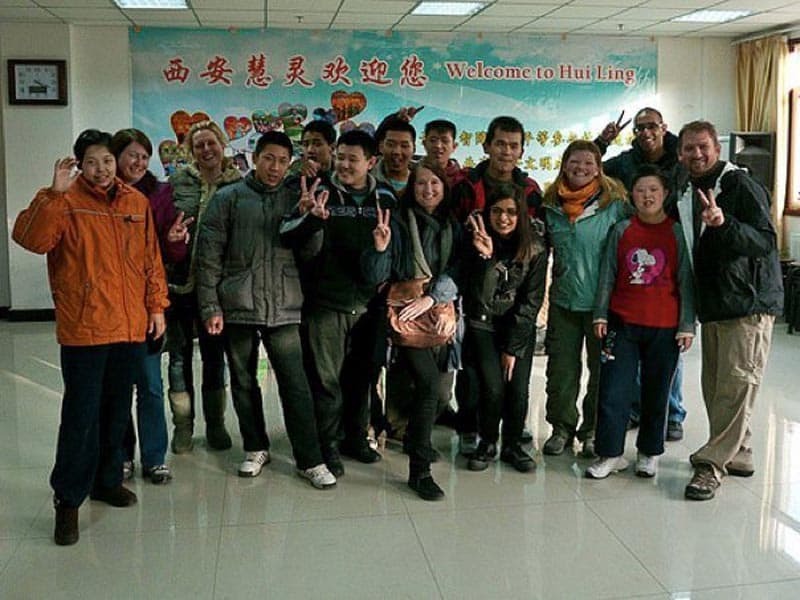 We ended up writing for the Expedia Viewfinder Blog as one of their travel experts and stayed with them for four years. We now work regularly with partners as ambassadors. We don't work on yearly contracts as much now, but we do extended campaigns and in-depth partnerships. We found it difficult to keep content fresh on a yearly basis and prefer to do a project for a few months or revisit yearly. We work with many companies again and again. Today Ambassadorships and long term partnerships are a large part of our income. Our first year as an destination ambassador was one of our most fulfilling years of travel. We worked with Ontario Tourism as their Travel Ambassadors. This was a very in depth partnership where we spent a year showcasing our travels and adventures in Ontario. We did media appearances, social media chats and take overs, travel videos, we wrote for their blog, spoke at events and supplied photos for them to use. This was the ultimate Ambassadorship that we always dreamed of and it has opened the door to other Ambassadorship programs. It also helped us really understand our worth. Ontario Tourism was fair with their prices and paid us accordingly. We used that initial ambassadorship as a benchmark for working with other destinations. As we grew, our rates grew, but by working with Ontario early on, we knew where to start. We are always in talks with destinations but now that we've been doing this for awhile, we are quite picky with who we work with and where we travel to. When we do choose a destination to work with, we usually go back to a destination again and again. We also communicate very closely before each trip planning itineraries and content creation strategies. We discuss what the destination wants out of the campaign and what we feel will resonate with our readers. We have now worked with many tourism boards and rarely do just one trip to a place. 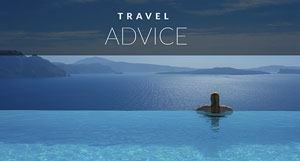 We prefer to do long term, or multiple trips to really delve into the destination. Our Ambassadorships have reached beyond just travel companies. We've worked with Royal Robbins, TravelSmith and Dolly Varden clothing companies as their advisors, global explorers and models. We show off their clothing around the world in action being used. We also work for luggage and gear companies to test, use and promote their products. It has been a fun and fulfilling experience to come up with creative ways to promote products. We even contributed photography to their catalogues and conference promotional materials. Dave and I are constantly working to add more dimensions to our travel blogging. When Housetrip offered us a place in their diplomats program as videographers in 2014, we were very excited to show people that we do more than writing and photography. We have never looked back and for the past couple of years we've been focusing on creating videos. By taking on the challenge of being their video bloggers, we had the chance to show off our video talents and reach a new audience. We started out in video when we first travelled and this brought us back to making more travel videos – our first love. We create videos on all projects for both YouTube, Instagram and Facebook. We now make videos for companies based on our trip experience. We’ve found that having the voice of a blogger tell the story in the video makes it a more real experience for the brand that hires us. 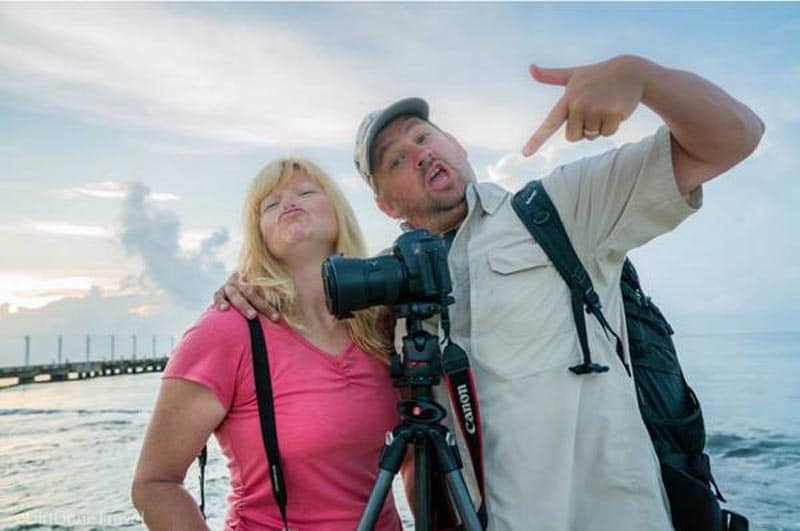 They could easily sink tens of thousands of dollars in to a slick video, but that isn’t as relatable as showing Dave and I having a blast showing off their destination, using their product or experiencing their trip. Dave and I now treat The Planet D as a mini media company. We put just as much time into our social media strategy as we do into our blogging, photography and video. We are now hired to run and take part in social media chats on Twitter, stream facebook and Instagram lives, we are hired for Instagram campaigns, and run contests on our social media. We work hard to keep a well-rounded brand. While others concentrate on one social media account, we spread our love around. It works for us, we're not saying it works for everyone. We take our social media very serious and work hard at interacting with our fans. We work hard to build our following and interact with all our fans and followers. We may not be number one in any one social media stream, but we are strong in all and use that to our advantage. We can offer companies and brands a package of channels to showcase their product, and it works. Not all our work is on a year-long contract basis. We now work on a project-by-project basis with companies like Transitions, Go Ahead Tours and the World Travel Tourism Council just to name a few of our current partners. Wow! Forbes Top 10 Influencer! People hire us to promote their products through our social media channels and website because we have grown a following over the years. Mashable, Martha Stewart and Redbull have reached out to us to feature our work and we were recently named one of the top 10 travel influencers in the world by Forbes Magazine. We’ve been judges in photography competitions, hosts of contests and done short one off campaigns promoting a trip or product. Like all freelancers in different businesses, the possibilities are endless. If it fits with our demographic and adds value for readers, we can work and thrive with a company. Projects with companies: 10k – 25k per campaign depending on deliverables. We didn’t put much stock in to affiliate sales early on in our blog. We didn’t have the traffic or the interest, but once we started seeing Amazon cheques come in on a monthly basis from old posts that we wrote a couple of years ago, we started to re-think Affiliate links. But affiliates for us took time. We built our readership and following before even thinking about putting in links and advertising. Once we had that solid base, the money came easily because we had the page views. When it comes to affiliates, we've used the products, companies and booking platforms we recommend and we did our research. We are still growing and learning about affiliates. We only just started this year, but by making a few tweaks, we are already farther along than we expected to be. We finally did get that speaking gig at TBEX and have shared as much of the knowledge as we could. While certain conferences like TBEX don't pay us to speak, they do raise our profile and status in the travel blogging world and offer post and pre tours including flights and accommodation. Plus we love brainstorming and interacting with our peers. However, we have started to branch out from the Travel Blogging conferences and speak in other realms. We now normally charge a fee to tell our story and make appearances. We really enjoy public speaking and it is already becoming a major part of our business strategy. We’ve been lucky enough to have an interesting story that people want to hear about. 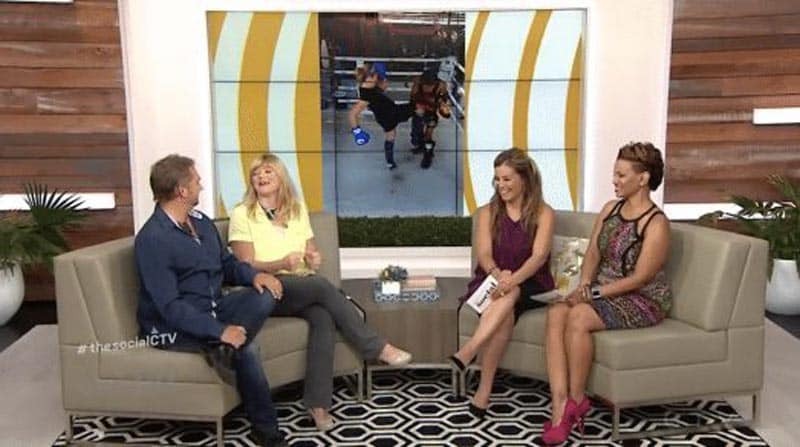 We have made TV appearances to not only talk about travel but to inspire others, talk about relationships and motivate people to change their lives. We sometimes write for companies outside ThePlanetD blog and we are doing it in the exact way that we wanted to in the first place. Instead of having to pitch people, they are approaching us to contribute. It's not that we ever thought we were above pitching articles, we just decided that we needed to focus our energy on writing for our own blog and building our own brand. Pitching takes a lot of time and effort and we didn't want to have to be bound to writing for others. Besides in the early days we wanted to keep the best content for ourselves. Now we have a lot of experience and content to draw from and we love writing for other publications. It keeps our writing chops sharp and helps us to hone our skills and we can play around and write a bit differently for them. We find it to be an excellent challenge and keeps things fresh. Dave's photography has really taken off and tourism boards and companies are starting to buy his photos from previous trips. He has won competition money and sells his photographs for advertising and magazines. He even receives regular cheques from SmugMug sales. While photography isn't a large part of our income it is a large part of our blog. Dave's photography is what keeps people coming back and it is a huge part of our brand. When companies hire us, you can guarantee photography is part of the package. We rarely accept sponsored posts these days. We would rather give exposure to our fellow travel bloggers in our Inspirational travel Series, but when the content fits and it is to a relevant website, we will accept them. But we write them ourselves and they are always based on our experience. We charge a high fee because our policy is to not clutter our website with dozens of sponsored posts. We are now making more money than we made in the film business just a few short years ago. We spend money on advertising, website audits and other tasks to invest in making our business grow. We aren't where we want to be yet, but we are living a comfortable life after nearly 10 years of hard work and living frugally. Achieving our Dreams – You Can too! We cannot believe that we achieved goal and are still going strong. We love this business and when people ask us what's next. Our answer is it will always be The Planet D.
It will just evolve into something different. We love the challenge, we love the industry and we love to travel. When it all comes down to it, we will always love to travel. It's not about the money. If we lived our lives only chasing money, we would have stayed in the movie industry. There are courses to help people today. Something we didn't have when starting. How to Become a Videographer $269 one time fee. How to become a Travel Photographer $89 one time fee. But you don't have to buy a course to start off, we have many references in our links below in our Read More section. Our goal has always been to be able to do what we love for the rest of our lives. We also knew that if we found careers that we loved, the money would come anyway, and it has. We love being able to explore the world, share it with our readers and push our boundaries. But most of all, we love doing it together. This is the driving force for us to continue to search for new and creative ways to make money travel blogging. The industry is constantly evolving and we know that we have to stay one step ahead of the game to have the privilege of having a career traveling the world. We never take one day for granted. PS. 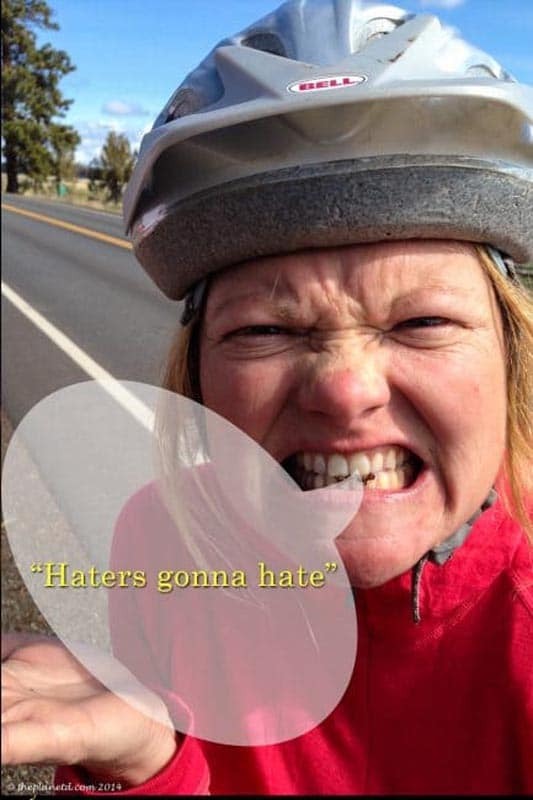 Thanks GirlGoneTravel for the above photo with attitude. This was taken by our friend Carol while in Mexico. Disclaimer: We do receive affiliate commission from the books and courses mentioned, but like everything here on ThePlanetD, we wouldn't recommend them if they weren't great. We get affiliate offers all the time that we never accept and these people that we mention are at the top of their game. 93 Responses to "How to be a Travel Blogger – From Dream to Reality"
I really enjoyed this piece. It’s great to hear a nice honest story of how 2 inspiring bloggers got started. I found the advice really inspiring and useful. I can now see how building great content and telling a story is key and that monetization comes further down the line. Starting a blog and social channels from scratch in this day and age seems quite daunting, but advice like this really helps to keep the motivation levels up. Thanks for sharing and safe travels. Greatly said to make money from the blog, your content should be good. It will attract an audience. Very inspirational post!! the great example of settings the goal. Keep it up, guys. Doing a great job! You advices are gold thank you so much! I am currently trying to foccus on traveling and to work only from my computer but it is a bit harder than I thought haha! Thank you so very much! What you are living is my absolute goal! It would mean the world to me if you could check my blog and giving me your feedback… thank you again! You guys are really inspirational. Every time I feel slightly dejected in this industry I read one of your posts and I really do feel inspired. You guys are an absolute inspiration! Amazing article, love your honesty & how you’ve detailed everything that you make money from! For newbie bloggers like us it’s so great to have people like you to aspire to & learn from. It’s interesting how you’ve talked about the ads & affliate links & building an audience first as it’s something we are thinking about at the moment, we have a few affliate links but no ads & are really trying to figure out what & when would be right. Also really love how you have focused on building a brand, which by the way we love & feel like you guys really shine through wherever we see you! A lot to think about for us from this, thanks so mcuh for sharing ? Thanks Kelly. I think affiliate sales have changed quite a bit over the years. When we first started blogging, we signed up for everything, but didn’t see a sent. We were let go of commission junction after a couple of months for making no sales. It took us years before we decided to do affiliate sales again. I’ve talked to people now with far less traffic than us that are doing amazing in affiliate sales though. So it’s worth trying. For the first few years, all we kept going was Amazon links and we really missed out on proper money. So, it’s good to get started sooner than later. We’re playing catch up now. Beset of luck to you! This is awesome! So inspiring to read about your success and your incredible adventures. Look forward to following your journey! It is not so easy to take travel full time and also earn your bread and butter from your passion. Being a tour operator I know a bit about this business. One get success when he is passionate about it. 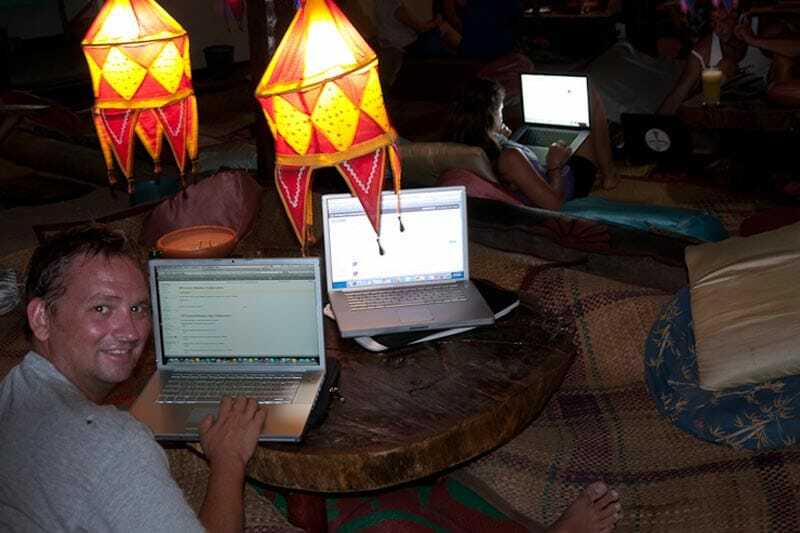 What you guys was, passionate about your travel blog. I really admire your effort and wish you luck with your next assignment. Hi Sinh, thanks for the comment. I can imagine a tour operator is a very fulfilling business, congratulations. It’s the key to life I think, Find what you are passionate about and follow your dreams. Great blog !!! I want post some Of my picture from Everest. How it is possible i don’t know. First, I would like to congratulate you for making a grand success in your travel business. Thank you for the blog, it was very inspiring and helpful. I am a freelance writer and do digital marketing for living. Though I love travelling, I can’t afford to take it full time and travel twice in a year. This make me feel a bit low. Your blog inspired me to become a full time traveler and chalk out my plans for future. Right now I am doing digital marketing for Travel Projects. Hope gradually I’ll be able to start my own. Thank you so much for sharing your experience. Not many people can earn by doing things that they love most. You have done that. You are really an inspiration. Best wishes. What an amazing journey! Very interesting to read your story. You definitely do pickup lots of new skills! Thank you for sharing your story. I found it to be inspirational. It is good to remind everybody about the hard work you have put into your brand. Got to get back to working on my blog. Thanks for sharing. You guys are super stars – celebrity bloggers indeed. Do you think being from Canada/US works in your favour? Hi Erin, I do think that being Canadian has helped us. We took advantage of working with companies here and there is a smaller pool of bloggers in Canada than the US. When we first started, we marketed ourselves as Canada’s Adventure Couple and really used the fact that we are Canadian to our advantage. We always tell people to focus on working with their own country. If you are from Australia, target Australian companies or the Australian branches of a company. We don’t work with American Express USA, we work with American Express Canada and Intrepid Travel started out with the Canadian division of the company. So to answer your question, Yes. Even with Ontario and Alberta we focused on being Canadian and showing the destinations off through Canadian eyes. Too bad about Amex in Australia, hopefully that changes soon. 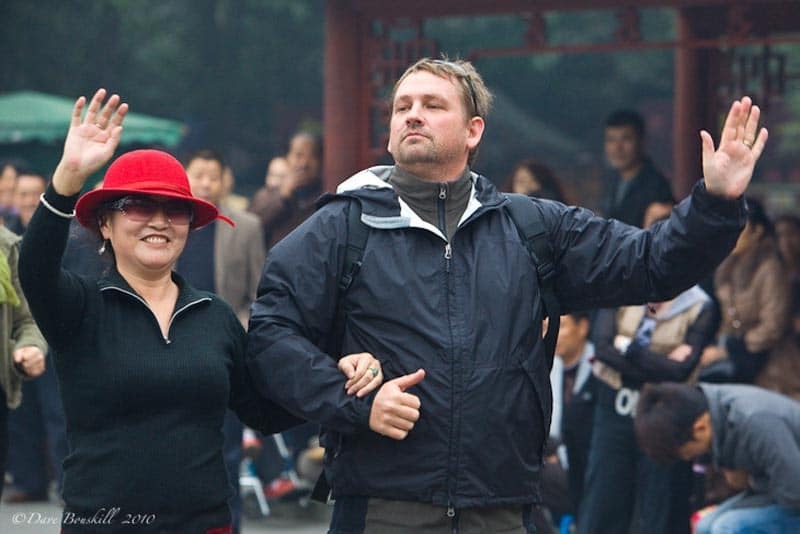 Hi Dave and Deb, you both are a real inspiration to young people like us who want to travel d world. Hi, I am Ankita from Mumbai,India. I love traveling and so my fiancé. We both have plans to travel places and we will be going through your blogs and videos to get required information. Thanks so much for sharing your experiences with us 🙂 God bless you both! Thanks for stopping by Ankita and good luck with your travels. you are lucky to have someone to travel with and that both you and your fiance love to travel. You are half way there! Let us know when you start your plans! Incredible! Well done guys ???? Ha! That’s ok. We’re in the middle of a major blog fix, so it’s definitely a problem on our end. Sorry about that! You two are on the list of my heroes in travel. We started blogging around the same time but in the few years since you’ve managed to achieve almost everything you’ve ever wanted while I still struggle (and probably because I get in my own way). Thanks for always being so transparent and so conversational. I’m grateful to know you personally as well as as “The Planet D”! Keep inspiring us all. Aw, that’s so nice of you Kirsten. Man, you’ve been there through so much of our travels. We’ve met up with you in so many places and I think you are doing amazing. Your Instagram work is inspiring! We’ll see you soon somewhere I’m sure and give Dante a big hug for us! Thanks Prasad. It’s been quite a fun ride with many ups and downs, but in the end if you do what you love, it’s worth working hard for. Congratulations on achieving your 5 year goal, that’s awesome! Although you both have a lot of skills and savvy, what you are ultimately selling is yourselves — you are the brand — and you are two amazing and incredibly nice people with a joie de vivre. And your huge audience of devoted followers (which is part of what appeals to your brand partners) is obviously responding to that., as well as to the high quality of your adventures and your product. Wonderful story! I love how dedicated you were to making a sustainable life as travel bloggers, and how enthusiastic you both are about travel and blogging. That said, I could NEVER do this! I really enjoy blogging, but I’m happy earning a small amount of money from my two sites while focusing on freelance writing as the bulk of my income. I wouldn’t enjoy being in the spotlight as much as you guys seem to enjoy it. Anyway, thanks for being so upfront about all of this, it’s really interesting to read. P.S. I hope Dave is recovering quickly! You are right Ali, it’s definitely not for everyone. We went the opposite direction of you as we avoided freelance work to focus on the blog. But that’s why you are a success at what you do as well, you followed your own path and passion. If we pursued freelance work, I’m sure we would have given up. It is so much easier to pursue what is right for you and not try to follow what others do. Congratulations on all of your success! I sat on your panel at TBEX Cancun and was inspired by your story then and even more now. My goal is to also blog full time and share my travel stories with others. Please continue to share your stories! Wow! What an inspiring post! I love traveling, and I love blogging. I’m finally making an effort to take my blogging seriously and treat it like a business so that one day I can do exactly what y’all are doing. This post has definitely made me feel like my dreams are achievable. Of all the posts I’ve read from successful bloggers about “how to make money blogging” blah blah blah, your post is definitely the most down-to-earth and relatable. Hard work pays off. Kudos to y’all for following your dreams and inspiring others to follow theirs! Thanks so much Jessie. I had been sitting on this post for awhile waiting for the right time. I think that the beginning of the year is a great time to get people motivated. Best of luck with the next level of your blogging career. It sounds like you have a plan and you are ready for more! Cheers. This is an excellent synopsis of how you’ve put all the pieces together to make this work for you and turn it into a career for yourselves. Both inspiring and realistic. Also on a personal note, reaffirms my gut instincts on how to make all this all work and follow your passions. Going to be sharing this with my students in the course this Term. Thanks Deb and Dave! This is very fascinating…. its a dream come true! Thanks Rohit, it really has been a dream come true for us. We never thought we would accomplish what we set out to do and we’re excited making new goals and dreams now too! It’s funny you mention Ian Wright, that guys kills us. We recently watched ‘An Idiot Abroad’ which is in the same vein. Really funny. Nice to hear an honest commentary on the advice other bloggers give. We’ve encountered much of the same and I guess everyone wants to protect their own turf. We’ve met a few very nice bloggers though who we can exchange feedback and notes on what works/what doesn’t – in the end that’s sometimes all any of us want. There’s a lot of traffic out there and different gendres of travel blogs that will cater to different crowds, I don’t know why some people have to be nasty. It’s been 6 months since we left Canada for our travels. We’ve never been happier. Every day is a new experience and we could never go back to the 9-5 routine at work. Travel blogging for us is a way of documenting our lives and sharing our experiences, every day there’s a quirky little story that we would never have experienced if we had stayed back home in our routine 9-5. Congratulations on your hard work and continuing success! Glad there is another Ian Wright fan. It’s great to have a strong circle of friends to be able to exchange ideas with. Congratulations on following your travel dream! These travels are going to change your life. All the best to you and good luck with the travel blogging! Kelly K sent me the link and it’s fantastic to see two great people I knew from set make the life they wanted. Such a great overall telling of your plan and how you hit all the points of keeping your brand strong. It’s a great plan to emulate. Looking forward to seeing what other adventures you get up to. Hi Michael, thanks so much for stopping by and we really appreciate you saying hello. I checked out your website and it looks like you are doing great as well! Love reading your posts on your adventures, you have been successful at achieving your dream which most people never realize. Hi Dough, great to meet a fellow Torontonian! Thank you for the well wishes and best of luck to you in your future travels as well. You come across so well, as genuinely lovely and engaging people and I think that makes a huge difference to the success of a blog. I also think that having transferable skills from your day job, is of real benefit and having a genuine passion for what you are doing is SO important. Your journey is really inspiring, thanks for sharing your experiences and I wish you many continued happy travels. Thanks Shell, we try to be ourselves on the blog so that when people meet us, they aren’t shocked to discover we aren’t who we seem 😉 It’s definitely about trying to keep it real and let our personalities shine through. I have been so disappointed when I have met some of my favourite bloggers in the past and they were nothing like their blog. I had to stop following them because of that. (honestly I was so upset, I felt like I had been duped) I’d hate for people to feel the same way about us. Besides, it’s really the only way we know how to write and blog, we only know how to blog in our own voice and I think that is the key. I think everyone should try to be themselves. It’s much easier that way. This is one of the best blog posts I’ve read anywhere is quite a while. Thank you for your honest and in depth story. We want to blog and we are still finding where we find and how much we can do while living normal life (for now). But I always love reading about the trailblazers! You are certainly inspiring!! I hope Dave is recovering well. Best wishes for you both! Thank you for the kind words. Dave is recovering nicely thanks so much for asking. We’ll be back on the road by the beginning of March, yay! Such an inspirational post. You guys have done so many amazing things by putting in the hard work and creating a blog that inspires others- I know I have been. At the moment I’m not even thinking of my blog as something that could potentially make me money- it’s really just about me being able to share my passion from travel by doing something I love, which is writing. But you give even this newbie hope. You are thinking the right way Britt. It’s about sharing your passion and experiences first and then working on monetization. It takes time but if you focus on your writing and your love of travel, success will come. Ah, thanks Britt for the kind words too. Dave and Deb, congrats guys! Amen! As a guy who has Blogged from Paradise for the past 45 months I can assure you that folks, these 2 D’s are dead on in what makes the pro, full time, blogging engine go. My blog’s all about how to retire to a life of island hopping through smart blogging and you my friends summed it up in that quote; focus on telling epic, inspired, funny and authentic stories and the money making opportunities follow. Keep up the great play guys! Thanks Ryan! Congratulations on 45 months of blogging from Paradise. You are living the dream. I think so many people want what you have and you made it happen. It’s people like you that are an inspiration. Thank you and keep on inspiring! Thanks Cailin, We’re fans of you too!Wow! We’ve known each other for a long time eh? You were one of our first travel blogging friends! I like this story! Not many people in travel/blogging business would be so honest about their struggles. The success often looks very glamorous. Perhaps it is easy to forget about hardship when a success eventually comes. But the important part of your story is never stopping to try new things, embracing opportunities and keeping your aspirations high. Thank you for sharing! Hi Agata, thanks for the comment. You are right you have to keep embracing new opportunities and working towards new goals. If you have a plan and a dream, you can make it happen. This was a great article! 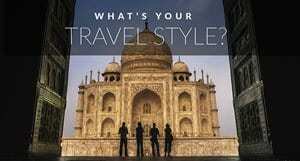 I am a newbie travel blogger and this gave me some great information on how to build my brand and some inspiration to keep at it. I’m looking forward to reading more of your posts and hearing about your travels. 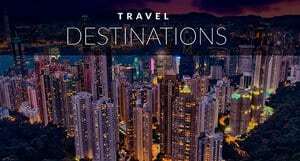 I start an extended trip (probably 6-9 month minimum) in 5 weeks, so I’m sure I’ll find some helpful information here. Thanks! Firstly, love your blog, and interactions on social media. Without knowing it you’ve helped people like me who are about to set off on their own RTW journey. I’m nervous, but so so excited, and three weeks can not come soon enough. I am unsure what the future holds for me, but I do know one thing, and that is, I’m going to enjoy every month and not stress out too much. Like you, I’m not thinking about making money from my Youtube channel (which is my main focus), it’s all about sharing the travel experiences and helping others. Hi Darren, Thanks for the message and the kind words. I’m excited for you! It is the most exciting thing to anticipate going off on an adventure. I sometimes think it’s more exciting than the adventure itself. The waiting and the counting of the dayys is so much fun! Just three weeks away, congratulations. I subscribed to your Youtube account to follow the journey. Living the dream! It’s been great following your journey. I remember when you guys were on the Nepal/India trip many years ago! You’ve guys have played a big role in how brands have embraced new media – all newbie bloggers have benefited from your tenacity, patience and professionalism. Thanks Cam, you two are living the dream too! 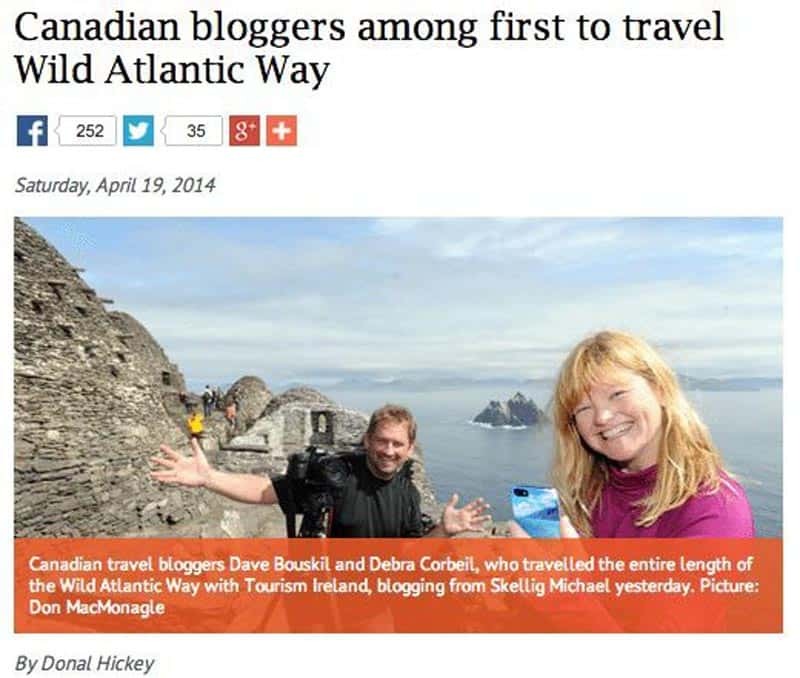 I remember us both starting out around the same time and it has been so awesome to see you two rise to the top and the rest of our Canadian pals be a force in the travel blogging world. Great tips guys! You’re right, it is very interesting to hear about your whole story and learning curve! Dave & Deb, you are such an inspiration to us and this post could not have come at a better time. We are still at the beginning of our blogging journey and reading your words fill us up with hope. It was lovely meeting you in Sri Lanka last November, and I hope we get to meet somewhere in 2015. Thanks Paul. I had this article in drafts forever and we thought it was a good time of the year to post it. It can be difficult finding a focus at first when blogging and the lack of money when starting out can be disheartening. But I’ve met you and see how determined you are and you let your personality shine! I also know that with your life experience you are going to be a huge success. I can’t wait to see where it goes! Great meeting you in Sri Lanka too and I hope our paths cross again soon! Thanks Christine! Glad we could inspire a bit. January is always a tough time of year for everyone, so we’re trying to have some informative posts go out to keep people (including ourselves) motivated. Cheers! Congratulations guys! I have watched you grow over the years with a determined focus on a directed path and have really enjoyed seeing the successes you have realized along the way. You are a great example of setting a goal and working hard to achieve it. You should be proud! Thanks Gillian! It’s hard to believe how time flies isn’t it? I remember all our early conversations and have seen you grow too and it’s amazing. I cannot believe all the people that have found success in Travel Blogging. Who would have thought we’d all still be here? What an amazing and successful journey your love of travel has brought you. A really interesting and educational blog post on how it can be done. Thank you so much for sharing your experiences. Thank you Lyn. I think that is the key to love what you do. Our love for travel started it all and then the love for blogging and everything that goes with it, kept us going. Thanks for sharing your story! 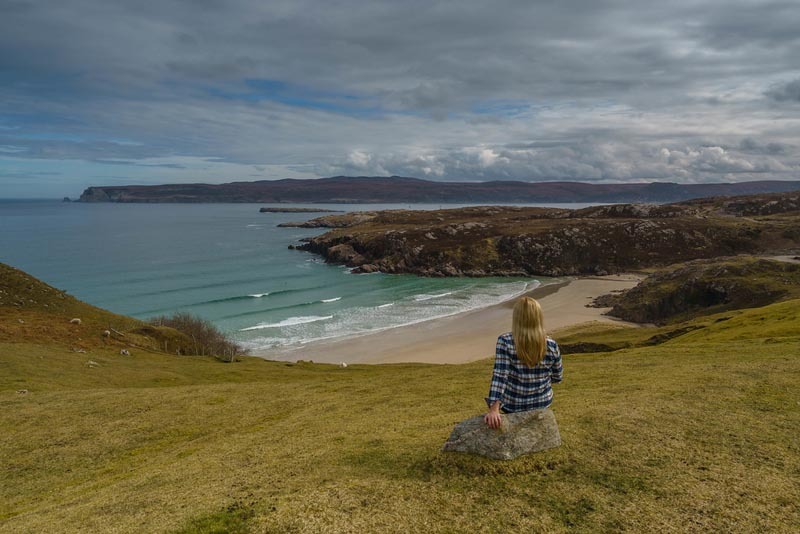 It’s great to read such an honest post about your journey and nice to see that it’s possible to make a living with a travel blog. Thanks Edwina. Yes, it is possible and that was something we didn’t know in the beginning. It was a lot of trial and error, but we eventually figured it out and for those trying to figure it out now, if you stay true to yourself and your goals, it will happen too!